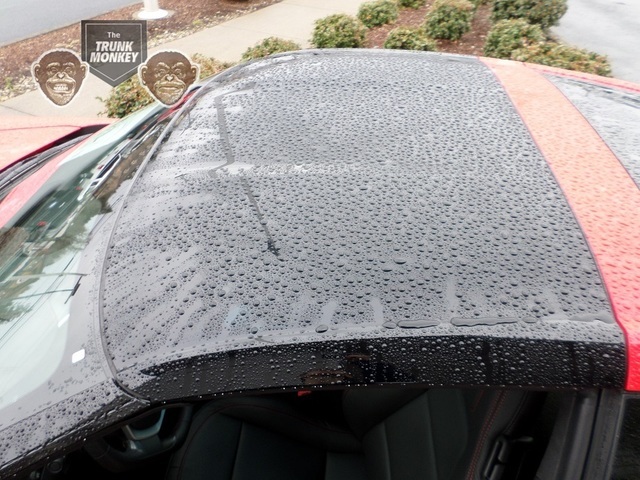 PART NUMBER 84355035 (Old Number: 84141731) PANEL PACKAGE IS THE TRANSPARENT PANEL FOR C7 CORVETTE MODELS. Is this the polycarbonate roof? Yes. The roof has many names including polycarbonate, blue, transparent, smokey, and others name we probably have not discovered yet. However, this the roof you want. You can read more about the blue tint/transparent tint/black tint below. Before we go any further I would like to know if this kit actually has everything I need to do the job. Does it or am I going to have to get a thousand other pieces? Yes. The kit includes everything you need to make the change from your current top to the transparent top. Wait, wait... I keep seeing a blue roof panel. Is this the blue roof panel or is it transparent? It is actually both and it is actually black at times. It all depends on how you are viewing the roof panel. If you are underneath it, like you would be in a car, then it appears blue to transparent. If you look at it from above then it looks black. If you look at the pictures then you will notice that it looks black and in some pictures, it looks blue. 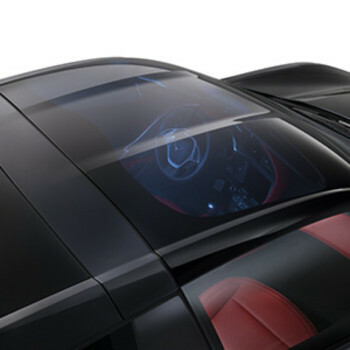 It is a black, blue, and transparent roof panel. I take it that you ship these with insurance now then? Yes. We ship these items with insurance. We want to make sure that it makes it to you in one piece. If it does not then we have something extra to make sure that you stay happy and we can do what we can to fix the situation. I feel like this is a big part. It is a roof panel after all. Can you give me some information on the relative size and weight of this product? How much room do I need to clear out to get into my garage? The part, luckily, ships in its own box to us. It actually has a decent amount of protection in there as well. However, to answer your question, the box is 55 x 35 x 10. The box and the part has a combined weight of 25 lbs. It is not a small part by any means, however, it is also not the biggest that we have ever sent through the mail carriers either. Tell me more about this box this thing ships in. I know that you said that it has some protection but has it caused problems in the past? Have you had good luck sending it places? Great luck, actually. We have sent a lot of these out there door and they have all made it in good repair. We only had one that was damaged and that one was actually damaged in the factory. It actually changed the way we send these items as we are now checking all of them before they get to you. A good thing for you because you will receive a quality product and it will have an ample amount of packing to make sure that it makes it to you in one piece. Do you have a list that shows me more details about the vehicles that this blue or transparent roof can fit? One exists, however, it is not on this page. Our providers did not give us the capability to show you those models on this page. If you click here then you will be taken to that list on another tab. It will not close this window. I have a lot more questions about this product. How do I contact you to ask them? You can call us at 1-888-260-6168 to ask your questions. You can also email us at the following email: parts@trunkmonkeyparts.com. Finally, you can press the chat request tuition at the very bottom left of the screen.